I liked the environment, the looks and the ambiance around the hotel. The beach is beautiful and the food is delicious! 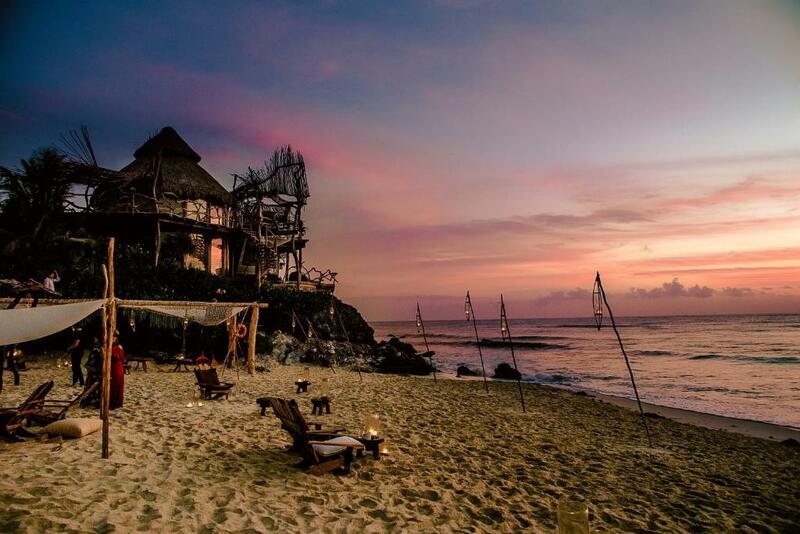 Azulik is a private, adults-only beach resort and Mayan Wellness Centre. 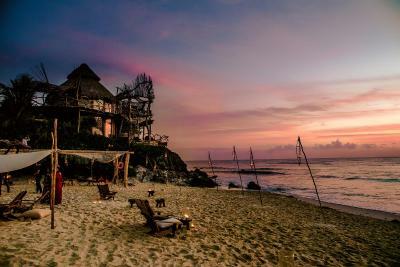 It features a secluded, clothing-optional beach which is perfect for sunbathing or swimming. 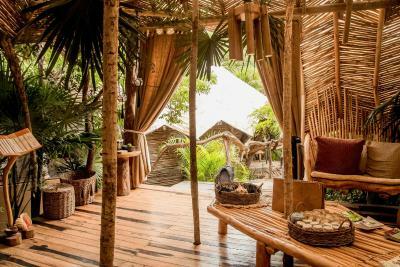 Each spacious tree house is made from Mexican-royal-ebony Khatalosh and features floor-to-ceiling windows providing natural daylight, mosquito nets. The units have a unique Mayan mosaic bath tub where you can have a special invigorating bath in rich mineralized cenote’s water, which is considered as sacred water within Mayan culture. 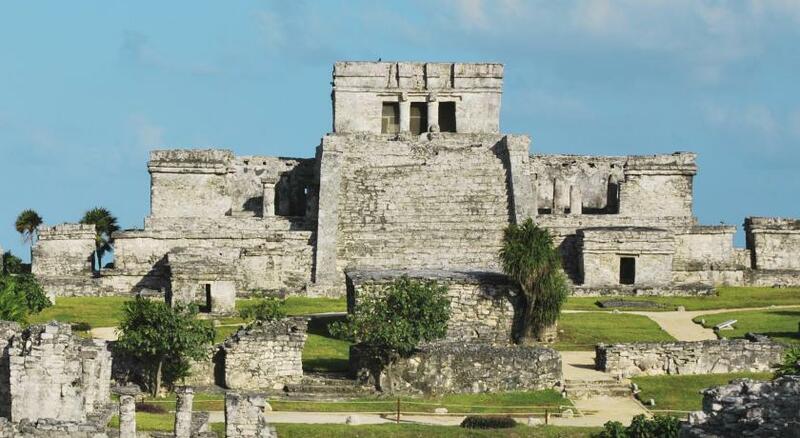 Azulik is 1.9 miles south of Tulum Archaeological Site and 2.5 miles from Tulum town centre. 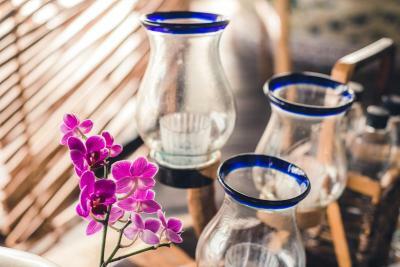 Our Cancun International Airport is about a 90 minutes drive to Azulik's location. 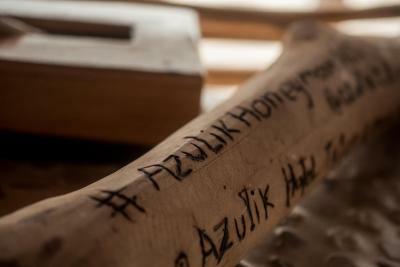 Azulik has been welcoming Booking.com guests since 11 Jul 2011. Go barefoot into your own private accommodation sheltered by lush tropical vegetation and take pleasure with plenty of nice touches, such as : Amenities included : Express check in/check out, VIP round trip transportation from/to airport Cancun, one daily bottle of champagne and appetizers, place reserved on the beach, breakfast (set menu) served in the villa, one chef's table at KinToh, couple massages, yoga, butler service 24/7. House rules Azulik takes special requests - add in the next step! Azulik Hotel is a non-smoking hotel. Smoking in not allowed in any area including beach.